Oakville, Ontario, 4 April 2018 /CNW/ – Siemens Canada has received an order from Inter Pipeline Ltd ("Inter Pipeline") to supply two industrial gas turbine generators for a Central Utilities Block (CUB) which is part of its Heartland Petrochemical Complex currently under construction in Alberta's Industrial Heartland near Fort Saskatchewan. The gas turbine generator (GTG) sets will be a critical part of the CUB, supplying power and steam to the propane dehydrogenation and polypropylene facilities within the Heartland Complex. This facility will produce polypropylene, a valuable petrochemical used to produce plastics in consumer products. Commercial operation of the CUB is expected in late 2021. "We chose Siemens SGT-800 technology because this gas turbine has a great track record of providing reliable, clean power. Inter Pipeline is committed to efficient operations and keeping our emissions low," said Chuck Ellis, General Manager Project Development at Inter Pipeline. 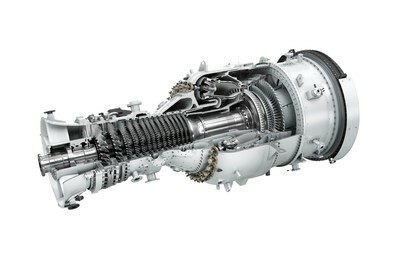 "We are excited to expand our global SGT-800 gas turbine fleet into Canada. We have more than 340 units sold worldwide with a record of successful installations," said Arne Wohlschlegel, Vice President, Power and Gas, Siemens Canada Limited. "This project, including the long-term service agreement, underscores Siemens' commitment to our customer Inter Pipeline and we look forward to the successful implementation of this important greenfield project."